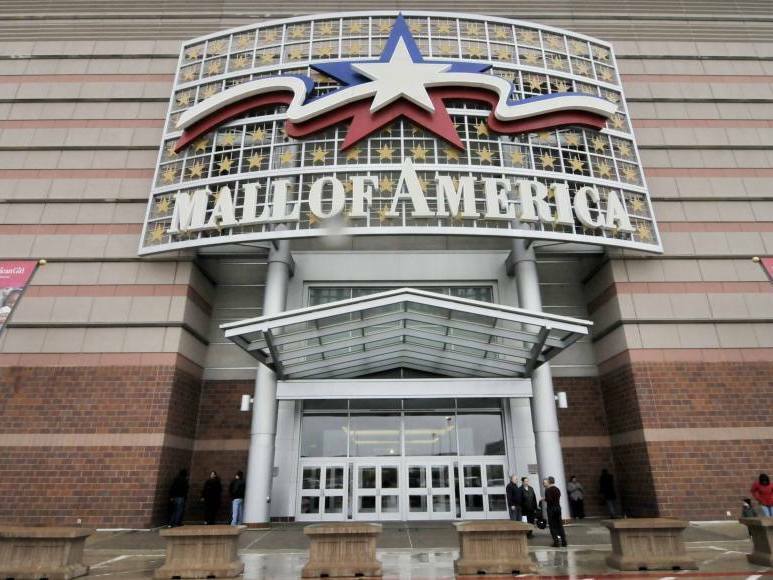 Shoppers Entangled In War On Terrorism Documents obtained by NPR and the Center for Investigative Reporting detail how the Mall of America shares information about possible threats. A program aimed at finding terrorism threats is entangling ordinary citizens with police and FBI. The Mall of America in Bloomington, Minn., has implemented a security program aimed at aiding the government identify suspected terrorists. Mall of America officials say that thousands of mall visitors have been stopped and questioned in recent years. The interviews at the mall are part of a counterterrorism initiative that acts as the private eyes and ears of law enforcement authorities but has often ensnared innocent people, according to an investigation by NPR and the Center for Investigative Reporting. The written reports were often filed without the knowledge of those interviewed by security. Several people named in the reports only learned from journalists that their birth dates, race, names of employers and other personal information were compiled along with surveillance images. The guards at the privately owned mall conduct up to 1,200 security interviews of shoppers on average each year, mall officials said. One Iranian man became disoriented during questioning. An Army veteran sobbed in his car after he was questioned about video he had taken inside the mall. Much of the questioning at the mall has been done in public while shoppers mill around, records show. People also described instances in which subjects were taken to a basement area. Officials at the mall would not address individual cases. "The government is not going to protect us free of charge, so we have to do that ourselves," said Maureen Bausch, executive vice president of business development at the mall. "We're lucky enough to be in the city of Bloomington where they actually have a police substation here. ... They're great. But we are responsible for this building." Reporters at NPR and the Center for Investigative Reporting gained access to more than 1,000 pages contained in 125 reports that refer to the mall dating to Christmas Eve 2005. The documents provide a glimpse inside the national campaign by authorities to collect and share intelligence about possible threats. The initiative exemplifies one of the cultural legacies of the terrorist attacks 10 years ago: Organizations and individuals are now encouraged by U.S. leaders to watch one another and report any signs of threats to homeland security authorities. This story was reported by NPR Correspondents Daniel Zwerdling and Margot Williams, and G.W. Schulz and Andrew Becker from The Center for Investigative Reporting. There is no way to know for sure exactly how many suspicious activity reports from the Mall of America may have ended up with local, state and federal authorities. The Bloomington Police Department and Minnesota's state fusion center turned over a portion of the paperwork in response to open-government requests. In 2008, the mall's security director, Douglas Reynolds, told Congress that the mall was the "No. 1 source of actionable intelligence" provided to the state's fusion center, an intelligence hub created after Sept. 11 to pull together reports from an array of law enforcement sources. Information from these suspicious activity reports generated at the mall has been shared with Bloomington police, the FBI and, in at least four cases, the federal Immigration and Customs Enforcement agency. The push to encourage Americans to report suspicious activity began in the aftermath of Sept. 11, 2001, when government officials and citizens found out that there were hints about the attackers' intentions. Some of the terrorists had taken flight training in Florida — but didn't focus on how to land. They bought one-way tickets. Officials at the FBI and other agencies failed to act on — or share — tips they had received. In the decade since, the Justice Department and Department of Homeland Security have launched programs urging citizens to report suspicious activity. The private sector, including the utility industry and other businesses concerned with protecting "critical infrastructure," have their own surveillance and reporting systems. Homeland Security Secretary Janet Napolitano has made such reporting a priority. Last year the Department of Homeland Security launched a promotional campaign, "If You See Something, Say Something," encouraging Americans to report anything perceived as threatening. Among those formally enlisted were parking attendants, Jewish groups, stadium operators, landlords, security guards, fans of professional golf and auto racing and retailers such as the Mall of America. Visitors "may be subject to a security interview," the mall's website says. The suspicious activity reports from the mall are rich with detail. They contain personal information, sometimes with Social Security numbers and the names of family members and friends. Some of the reports include shoppers' travel plans. 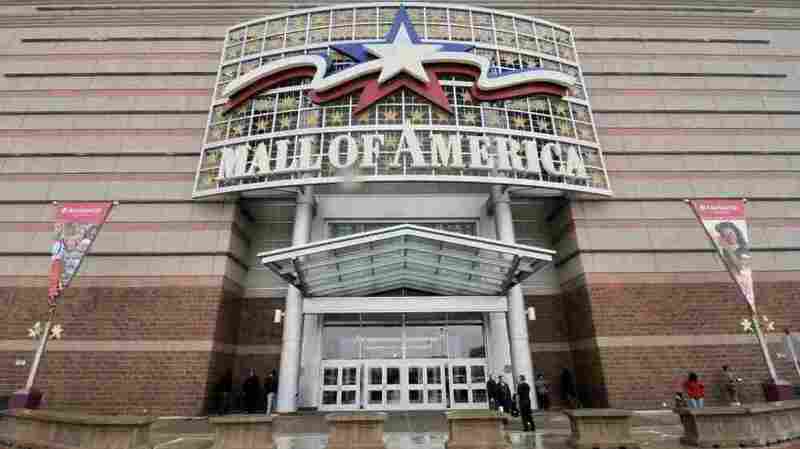 In May 2009, two black men visiting the Mall of America drew the suspicions of a mall security employee as they strolled through the attractions with a video camera. The security guard followed them, noting their locations and alleged actions and calling in two more security guards before stopping the men for questioning. This animation displays the observations of the security guard as written in the mall's "Suspicious Activity Events Log" and noted with a map of the mall in the incident report. The report was forwarded to the Bloomington Police Department and obtained by NPR and the Center for Investigative Reporting in response to a public records request. Documents show that the incident was also reported to the Minnesota state fusion center and the FBI Joint Terrorism Task Force. Commander Jim Ryan of the Bloomington Police Department said shoppers are not under arrest when stopped for questioning by private security. He said even he would walk away if the questioning went on as long as an hour and a half. "I don't think that I would subject myself to that, personally," he said. Ryan, however, defends security procedures at the mall. In some cases, the questioning appears to be the result of profiling — something that officials at the mall deny. In nearly two-thirds of the cases reviewed, subjects are described as African-American, people of Asian and Arabic descent, and other minorities, according to an analysis of the documents. Mall spokesman Daniel Jasper said the private security guards would not conduct interviews based on racial or ethnic characteristics because "we may miss someone who truly does have harmful intent." "It's important to note that we conduct security interviews based solely on suspicious behavior," Jasper said in a statement. "Research indicates that profiling based on ethnic or racial characteristics is ineffective and a waste of valuable time and resources." Ryan said such reports are crucial to the nation's safety in the post-Sept. 11 era. He said the suspicious activity reports could be held by his agency for two decades or longer. He acknowledged that the mall's methods, and reports the security guards file, may "infringe on some freedoms, unfortunately." "We're charged with trying to keep people safe. We're trying to do it the best way we can," he said. "You may be questioned at the Mall of America about suspicious activity. It's something that may happen. It's part of today's society." Some national security and constitutional law specialists question the propriety and effectiveness of such reports. Dale Watson, a former top counterterrorism official with the FBI, said the mall's reports suggest that anyone could be targeted for intrusive questioning and surveillance. "If that had been one of my brothers that was stopped in a mall, I'd be furious about it — if I thought the police department had a file on him, an information file about his activities in the mall without any reasonable suspicion to investigate," said Watson, who played key roles in the investigations of the 1995 Oklahoma City bombing and a 1998 attack on U.S. embassies in East Africa. Jeffrey Rosen, a law professor at George Washington University, said the risk of abuses is high, particularly if there turns out to be a lack of proven results. "If all they're getting for amassing suspicious activity reports on innocent people in government databases is the arrest of a few low-level turnstile jumpers and shoplifters, that doesn't seem very sensible," Rosen said. Shoppers, who for the most part had no idea that a visit to the mall led to their personal information's being shared with law enforcement, reacted with anger and dismay when shown their reports. "For all the 30 years that I have lived in the United States, I've never been a suspect," said Emil Khalil, a California man whose suspicious activity report was sent to the FBI after he was questioned in June 2009 for taking pictures at the mall. "And I've never done anything wrong." The Mall of America has become a monument to suburban shopping and entertainment. With 4.2 million square feet under one roof, the two-decade-old mall is one of the largest complexes of its kind in the world, featuring more than 500 shops and amusement park rides. Nearly 100,000 people from around the world pass through the mall on a given day. In 2005, the Mall of America hired Mike Rozin to lead a new special security unit. Rozin served as a sergeant in the Israel Defense Forces before working in a protective division at Tel Aviv's Ben Gurion International Airport. He trained mall security in the art of interpreting behavioral cues for signs of a threat. Although his unit's approach has some of the hallmarks of profiling, Rozin dismissed any such notion, saying members of his unit merely watch what people do. Rozin's team looks for unexplained nervousness, people photographing such things as air-conditioning ducts, or signs that a shopper might have something to hide, according to records. Earlier this year, Rozin's guards detected a suspicious man who tried to run when guards approached. Bloomington police joined in pursuit. After he was stopped, they found a loaded handgun. The man had a history of violence. Rozin acknowledged that the vast majority of people who come into contact with his unit "have done nothing wrong, have no malicious intent." "They just act in a suspicious manner that obligated me to investigate further," Rozin said. "We talked to them for an average of five minutes, and they're able to continue their shopping." Read more about this story in an extended report by the Center for Investigative Reporting and continue reading about this investigation in their series America's War Within.